This is a conference panel which I organised for the Urban History Association 4th Biennial Conference on “Shock Cities”: Urban Form in Historical Perspective, Houston, Texas, 6 November 2008. Until recently, the historical study of cities in South Asia has had to contend with an anti-urban bias. If, as nationalists often asserted, “the real India” lived in its villages, the countryside was more deserving of scholarly inquiry than cities. 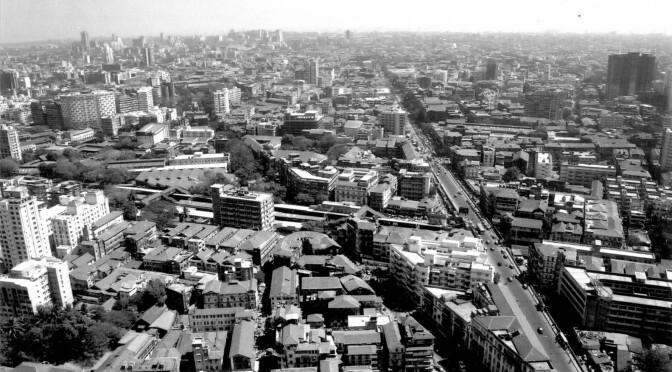 When forced to confront rapid urbanization in recent decades, postcolonial planners viewed the city less as a ocial form than as a set of problems, an ahistorical object of state intervention and control. These biases have shaped modern scholarship on South Asia, where urban change has been submerged within the narrative frameworks of colonial power, resistance and identity – concerns which have dominated nationalist historiography and postwar area studies. Ashish Rajadhyaksha, Indian Cinema in the Time of Celluloid: From Bollywood to Emergency. Bloomington: Indiana University Press, 2008. Janaki Nair, The Promise of the Metropolis: Bangalore’s Twentieth Century. (New Delhi: Oxford University Press India, 2005). Chattopadhyay, Swati. Representing Calcutta: Modernity, Nationalism and the Colonial Uncanny. Routledge, 2006. Sudipta Kaviraj, “Filth and the Public Sphere: Concepts and Practices about Space in Calcutta”, Public Culture vol.10, no.1 (1997) pp.83-113. Dipesh Chakrabarty, “Of Garbage, Modernity and the Citizen’s Gaze” in Habitations of Modernity: Essays in the Wake of Subaltern Studies, Chicago: University of Chicago Press, 2002, pp.65-79. Dipesh Chakrabarty, “Adda: A History of Sociality” in Provincializing Europe: Postcolonial Thought and Historical Difference, Princeton: Princeton University Press, 2000, pp.180-213. Stephen Legg. Spaces of Colonialism: Delhi’s Urban Governmentalities. Wiley-Blackwell, 2007. Stephen P. Blake, Shahjahanabad: The Sovereign City in Mughal India 1639-1739, New Edition (Cambridge University Press, 2002). Stephen Legg, “Beyond the European Province: Foucault and Postcolonialism,” in Space, Knowledge and Power: Foucault and Geography, ed. Jeremy W. Crampton and Stuart Elden (Ashgate Publishing, 2007). Stephen Legg, “Ambivalent Improvements: Biography, Biopolitics, and Colonial Delhi,” Environment and Planning A 40, no. 1 (2008): 37-56. Hazareesingh, Sandip. The Colonial City and the Challenge of Modernity : Urban Hegemonies and Civic Contestations in Bombay City 1900-1925. New Delhi: Orient Longman, 2007. Chopra, Preeti. “Refiguring the Colonial City: Recovering the Role of Local Inhabitants in the Construction of Colonial Bombay, 1854-1918.” Buildings & Landscapes: Journal of the Vernacular Architecture Forum 14 (2007): 109-125. Hazareesingh, Sandip. “Colonial Modernism and the Flawed Paradigms of Urban Renewal: Uneven Development in Bombay, 1900–25.” Urban History 28, no. 02 (2001): 235-255. Hazareesingh, Sandip. “The Quest for Urban Citizenship: Civic Rights, Public Opinion, and Colonial Resistance in Early Twentieth-Century Bombay.” Modern Asian Studies 34, no. 4 (October 2000): 797-829. Glover, William J. 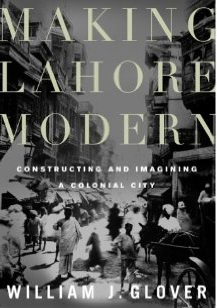 Making Lahore Modern: Constructing and Imagining a Colonial City. University of Minnesota Press, 2007. Glover, William J. “Objects, Models, and Exemplary Works: Educating Sentiment in Colonial India.” The Journal of Asian Studies 64, no. 03 (2007): 539-566. Glover, William J. “Construing Urban Space as “Public” in Colonial India: Some Notes from the Punjab.” The Journal of Punjab Studies 15, no. 1 (forthcoming 2008): 1-14. Plotz, John. “One-Way Traffic: George Lamming and the Portable Empire.” In After the Imperial Turn: Thinking With and Through the Nation, edited by Antoinette Burton, 308-23. Durham, NC: Duke University Press, 2003. Kidambi, Prashant. The Making of an Indian Metropolis: Colonial Governance and Public Culture in Bombay, 1860-1920. Ashgate, 2007. Kidambi, Prashant. “‘An Infection of Locality’: Plague, Pythogenesis and the Poor in Bombay, 1896–1905.” Urban History 31, no. 02 (2005): 249-267. Kidambi, Prashant. “Housing the Poor in a Colonial City: The Bombay Improvement Trust, 1898-1918.” Studies in History 17, no. 1 (February 1, 2001): 57-79. Arvind Rajagopal, “The Violence of Commodity Aesthetics: Hawkers, Demolition Raids and a New Regime of Consumption”, Social Text 68, Vol. 19, No. 3, Fall 2001. Mitchell Duneier. Sidewalk. Farrar, Straus and Giroux, 2001. Jonathan Shapiro Anjaria. “Street Hawkers and Public Space in Mumbai”, Economic and Political Weekly, May 27, 2006.